With The Avengers 4 drawing ever so close, fans are getting antsy about the title, with rumors and theories suggesting it could be End Game, Annihilation, Forever, Eternity, Infinity Gauntlet or something else. 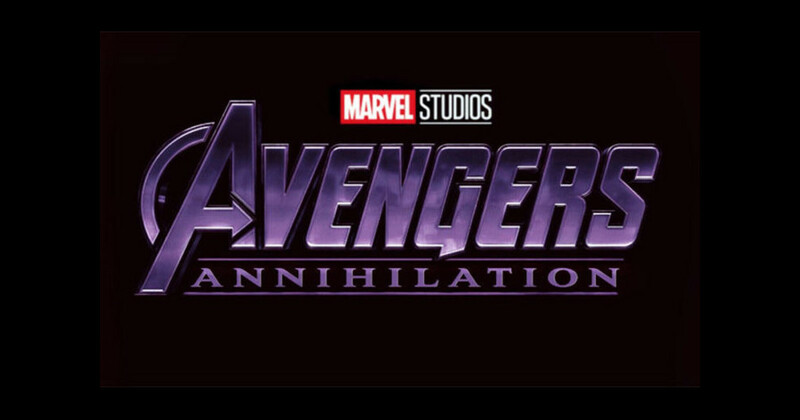 Fans on Reddit are debating the title with one post having near 400 upvotes titled, "Does anyone else really hope that the title of Avengers 4 isn't Avengers: Annihilation." "Like we've come to a point that now the title will be released to us in a month or so and I just hope that it's something else," Reddit user nevergofullboyle posted. "Russo's confirmed that the title has [not] been spoken in previous Marvel movie so now there's more reason to believe that it's Annihilation. But I seriously seriously hope that it's not. What about you people?" A lot of the comments are offering their thoughts on what the Avengers 4 title could be, but some are also debating "Avengers: End Game" vs. "Avengers: Annihilation." Regarding the former, which I exclusively revealed, I was told by a family friend who worked on Infinity War, Avengers 4 and Captain Marvel that it was "Avengers: End Game" (or Endgame). I was told the info prior to the release of even the Infinity War world premiere, and then once it was released in theaters, we all heard Doctor Strange drop the title in the movie. Fans have also pointed out that Tony Stark said "end game" in The Avengers: Age of Ultron, and I have also pointed out that Jim Starlin used the line in his third part of his Infinity Gauntlet saga, Infinity Crusade. A Marvel cinematographer also updated and then removed "End Game" from his resume. I've also exclusively teased that The Avengers: End Game also has to do with Marvel's true end game being what comes next (X-Men, Fantastic Four???). Regarding the possibility of Avengers: Annihilation being the title, it seems to be more connected to Mark Ruffalo's joke about releasing the title on Jimmy Fallon. It seemed to be just a big ruse in order to promote a charity the Hulk-actor supports. I also have to agree that I would be disappointed if Avengers: Annihilation was the title as the comic story was a big inspiration for this site, and the story didn't even feature any of the Avengers (guys like Joe Quesada only cared if sales were good). However, it should be said the MCU is a lot different than the comics, and Avengers 4 could possibly incorporate some elements of the story (Annihilus? Nova? ), but it almost seems like too much would be going on if they are dealing with all these new characters and at the same time dealing with ending the original actors in the MCU and bringing back the dead Avengers. That said, what if Marvel's end game is bringing in Nova and Annihilius, which "Annihilation" then fits? It has been said that Marvel's Phase 4 plans are going cosmic in a big way (Eternals is in the works and hopefully more Guardians), so both "End Game" or "Annihilation" would work. I think when it comes down to it, the title isn't as important as Marvel just providing a good movie. The Russo brothers have yet to disappoint, so we should all be in good hands.